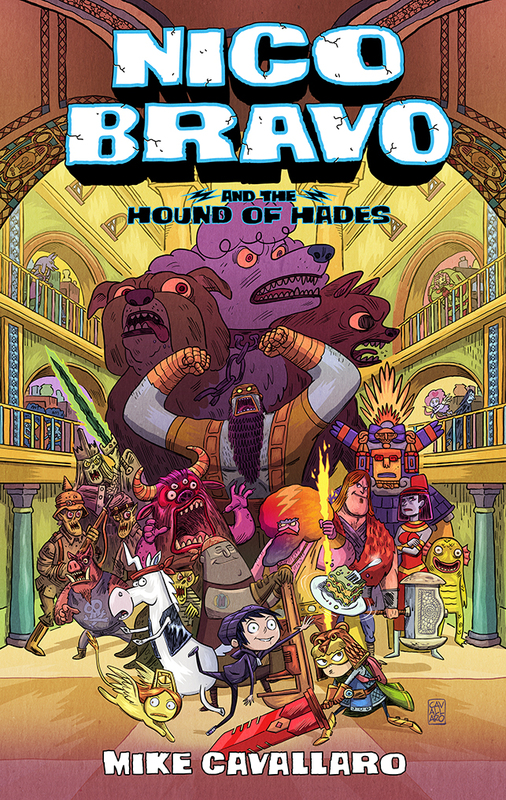 Take another look at your favorite myths and legends in this hillarious new graphic novel by Mike Cavallaro! 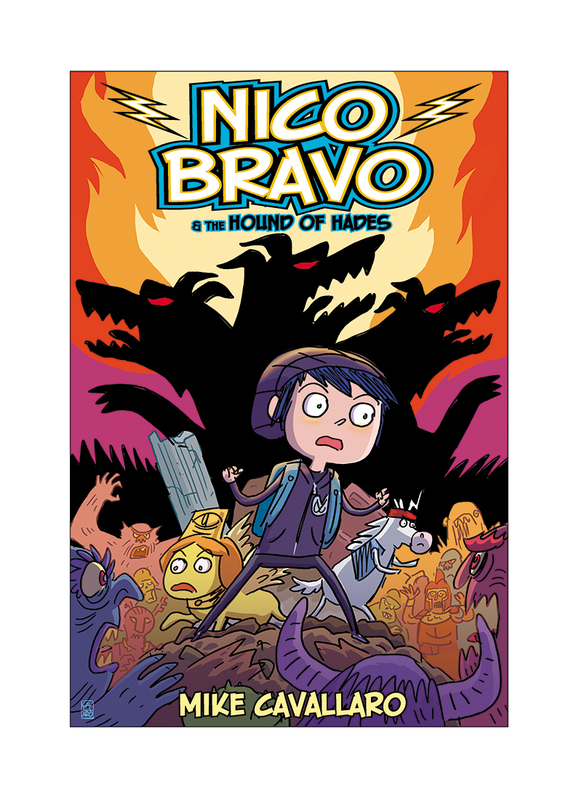 But Nico’s world is about to be turned upside down, and it’s all thanks his latest customer: Eowulf, the pint-size descendant of the monster slayer Beowulf. Determined to carry on the family business, this would-be warrior plans to slay Cerberus, the terrifying, three-headed hound of Hades. There’s just one problem—Cerberus is the only thing preventing the hordes of the Underworld from entering the land of the living. Can Nico stop Eowulf from unleashing a zombie apocalypse? This entry was posted in Blog on April 17, 2019 by mcavallaro. This entry was posted in Blog on March 15, 2019 by mcavallaro. 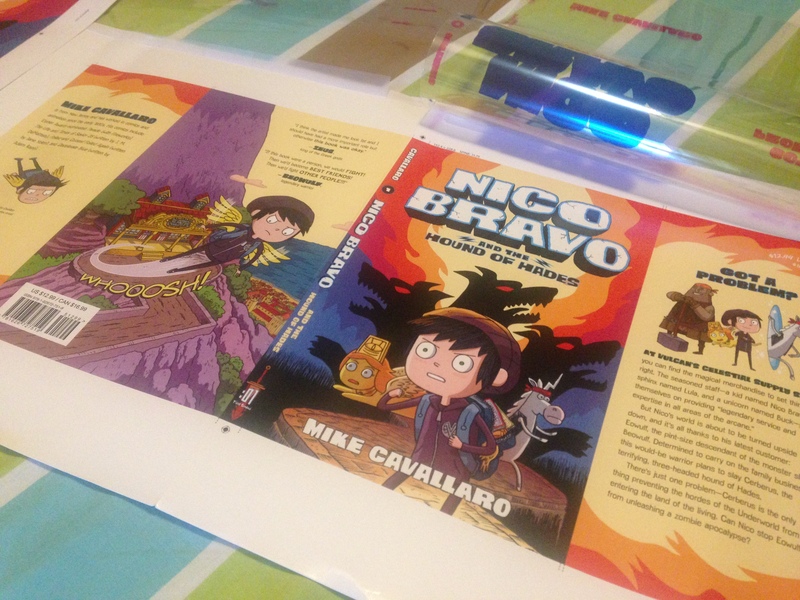 NICO BRAVO AND THE HOUND OF HADES proofs are in! At some point towards the end of high school, I knew I wanted to make comics. Since then I’ve never wanted to do anything else. It hasn’t been easy. But seeing my first work published in the 90’s was thrilling and nothing that’s happened since has managed to put a dent in that. These proofs are both surprising and familiar. I mean, I know the book by heart of course, but seeing images and words you pulled from thin air, or which seemed to have been beamed into your brain and then onto the page by some outside force, now solidified in print…I don’t know how to describe it. After the hours, days, weeks, months of grinding away at it, I almost wonder where this all came from, as if someone else had made it. This entry was posted in Blog on August 29, 2018 by mcavallaro. 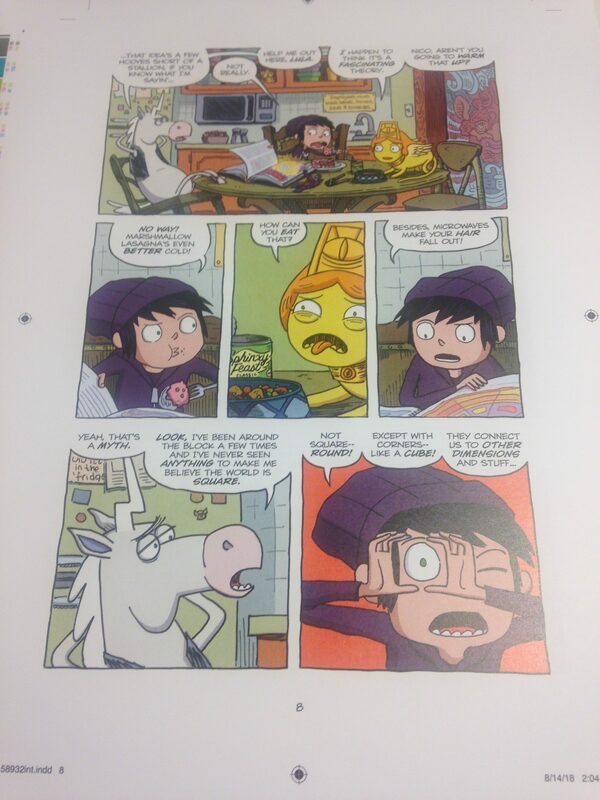 IMPOSSIBLE INCORPORATED on the way! 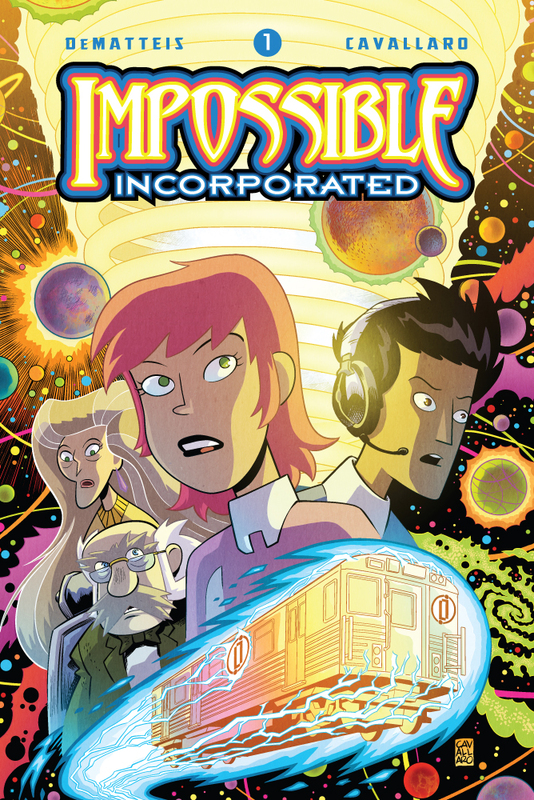 IMPOSSIBLE INCORPORATED #2, (w) J.M. DeMatteis, (a) Mike Cavallaro. 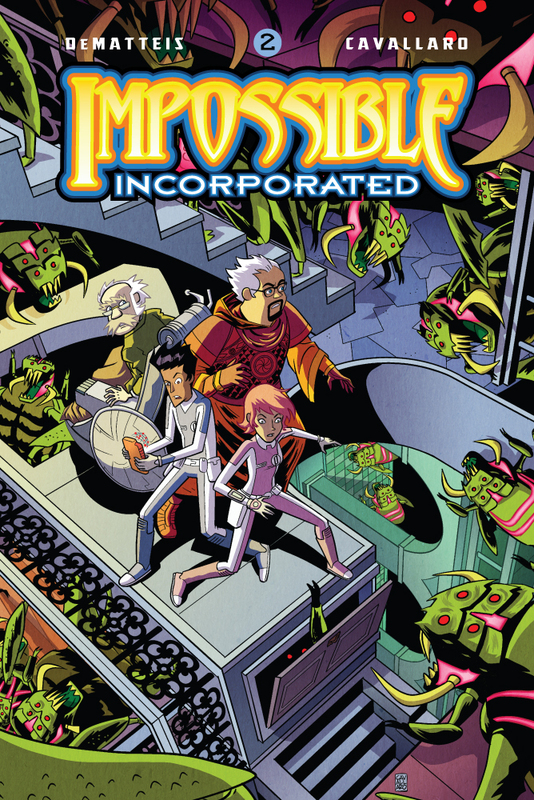 Available October 17 2018, Diamond Comics order code: AUG180801, $3.99, IDW Publishing. 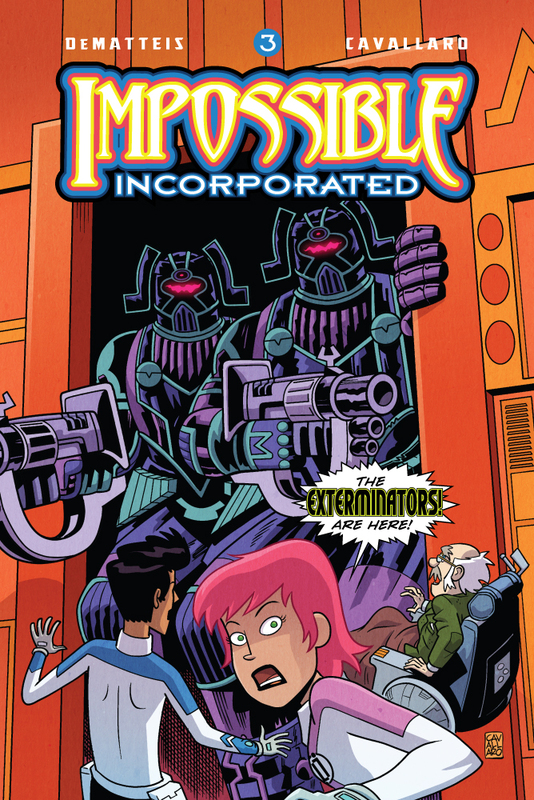 With the Infinite Spiral collapsing and time periods colliding, Number Horowitz and her team must find a way to stop the Time Termites before all of Creation is erased! 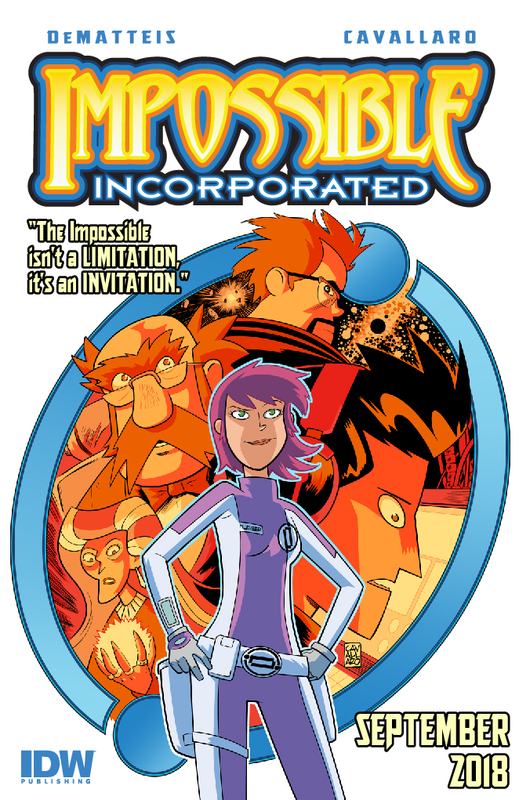 But will Number have to ally herself with her most dangerous foes, the alien Exterminators, in order to save the universe? J.R.R. Tolkien’s THE LORD OF THE RINGS is probably one of my biggest influences. I’ve read the books more than a few times and I vividly remember seeing Ralph Bakshi’s animated adaptation in the theaters. The film’s promotional artwork was mesmerizing. I stared at whatever scraps I could collect for hours. I think when you’re young, those images you see that really captivate you are absorbed into your artistic DNA, and can affect the way you approach a composition, or draw a leg or a hand, etc., forever. 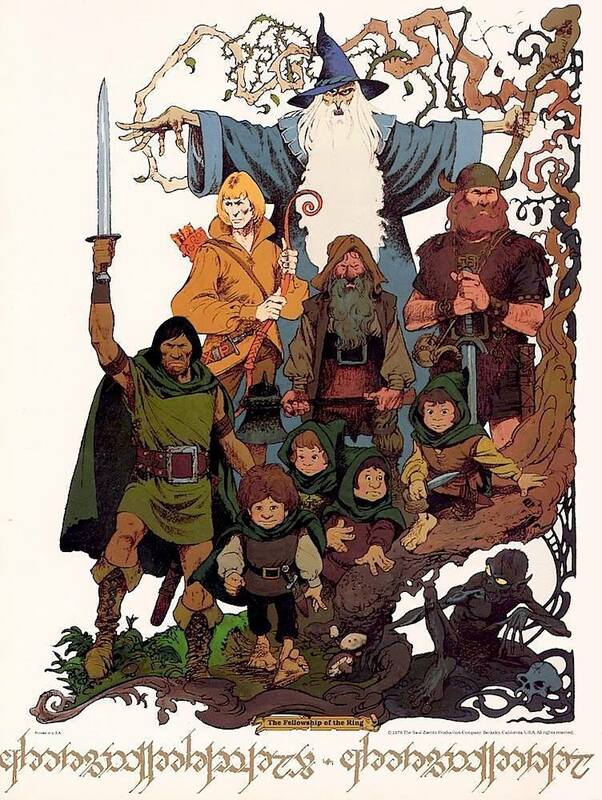 This was definitely one of them for me, and since the promotional artwork was mostly uncredited, it took me years to learn it was drawn by Mike Ploog. Ploog entered the animation industry in 1969, working at Filmation and Hanna-Barbara after completing 10 years in the Marine Corps. After that, he worked with Will Eisner on PS Magazine for the U.S. military. At Marvel Comics, Ploog co-created GHOST RIDER with Gary Friedrich, and worked on MONSTER OF FRANKENSTEIN, KULL THE DESTROYER (another favorite of mine), WEREWOLF BY NIGHT, and many others. In Hollywood, Ploog worked on WIZARDS and THE LORD OF THE RINGS, Michael Jackson’s MOONWALKER, John Carpenter’s THE THING, SUPERMAN 2, LITTLE SHOP OF HORRORS, Jim Henson’s THE DARK CRYSTAL, and others. My chance to bring my lifelong appreciation of Mike Ploog’s work around full-circle came in 2009 when J.M. 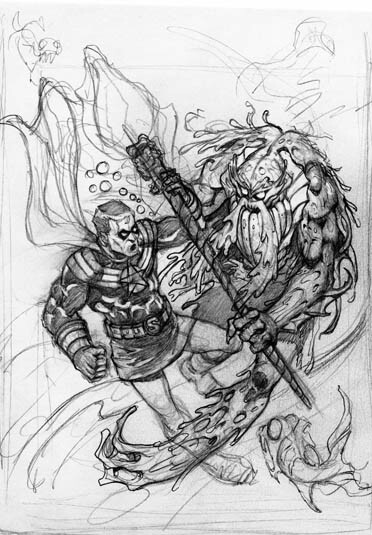 DeMatteis and I were working on our LIFE AND TIMES OF SAVIOR 28 comic book series. We were given one variant cover per issue, so I had the great pleasure of seeing our character designs rendered by some of my favorite creators, including Sal Buscema, Joe Sinnott, Kevin Maguire, Don Perlin, and of course, Mike Ploog. 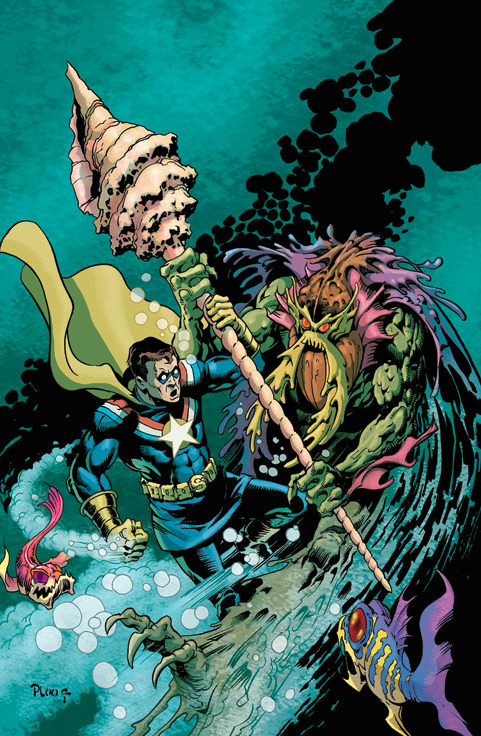 Here’s Ploog’s marvelous rendition of Savior 28 and his sometime-foe The Lemurian, colored by Andrew Covalt, for THE LIFE AND TIMES OF SAVIOR 28 issue #4 variant cover. This entry was posted in Blog on June 9, 2018 by mcavallaro. My copy of the WHERE WE LIVE anthology to benefit the victims of the October 2017 Las Vegas shooting arrived today, and it’s a beautiful book. I was invited by my good friend J.M. DeMatteis to collaborate with him on his story, REMEMBER, a reflection on our lifelong relationship and cultural romance with guns. This “unique way” was the genesis of the WHERE WE LIVE anthology—a riveting collection of both fictional stories and actual eye-witness accounts told by an all-star line-up of the top talent working in comics today. All the creators have graciously volunteered their time and talent to help bring some sense to this senseless act and, in the process, raise money for the survivors and their families. The book will include a variety of perspectives with key themes exploring gun violence, common sense gun control, value of a compassionate society, mental health stigmatization, aftermath of tragedy and how individuals & communities persevere and an appreciation of Las Vegas as a vibrant community. 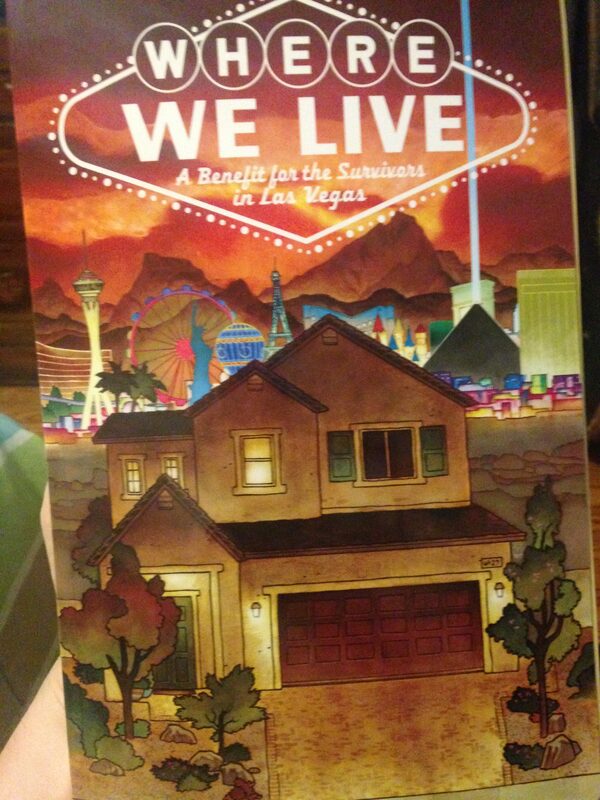 100% of the proceeds for the WHERE WE LIVE anthology will be donated to Route 91 Strong, a non-profit organization. This entry was posted in Blog on May 15, 2018 by mcavallaro. The cover is almost never ever the first one you draw. 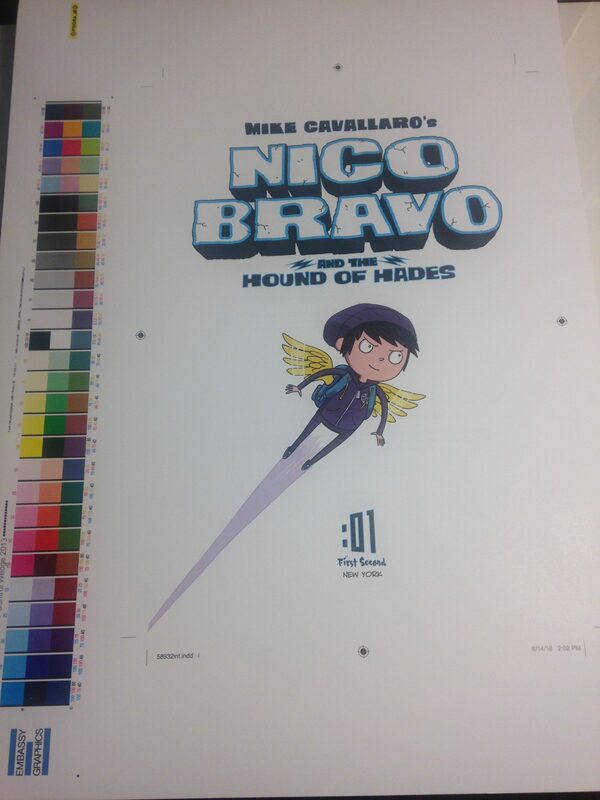 In creating the cover for NICO BRAVO AND THE HOUND OF HADES, I worked with the incredibly talented Andrew Arnold at First Second Books. Andrew is a cartoonist himself, a published author, designer, and art director, and an alumni of the Center for Cartoon Studies. We kicked sketches and scribbles back-and-forth, guided by Andrew’s expert eye. 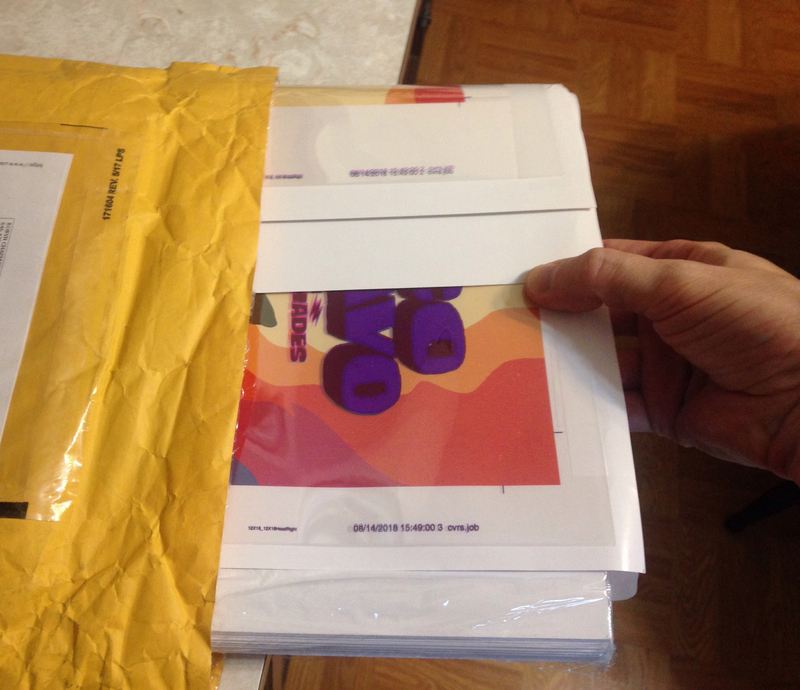 I thought were were almost there when I heard a talk by another gifted designer, Colleen Venables, who noted that many people will first see your cover online at postage stamp-size, and it must work at that scale. This entry was posted in Blog on May 7, 2018 by mcavallaro. 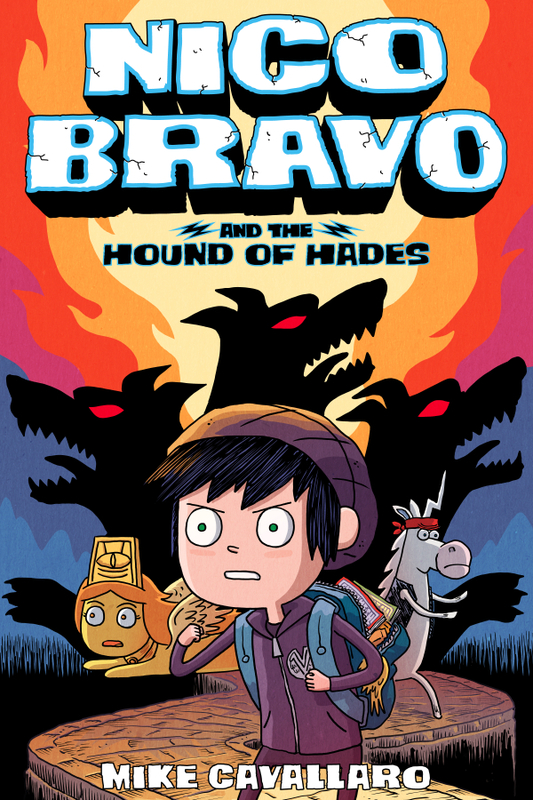 Entertainment Weekly has the front cover art reveals for First Second Books Winter 2019 list, including my very own NICO BRAVO AND THE HOUND OF HADES! Check them all out HERE! I can save you a trip for mine, though–here it is! 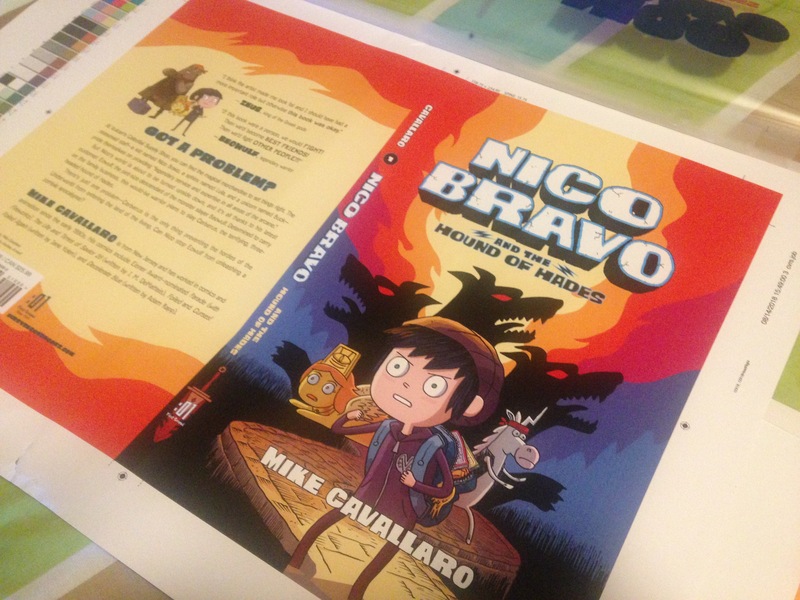 But Nico’s world is about to be turned upside down, and it’s all thanks his latest customer: Eowulf, the pint-sized descendant of the monster-slayer Beowulf. Determined to carry on the family business, this would-be warrior plans to slay Cerberus, the terrifying, three-headed hound of Hades. There’s just one problem—Cerberus is the only thing preventing the hordes of the Underworld from entering the land of the living. Can Nico stop Eowulf from unleashing a zombie apocalypse? This entry was posted in Blog on May 4, 2018 by mcavallaro. So lucky to be working on IMPOSSIBLE INCORPORATED, my new creator-owned series, and the best part is being able to collaborate with my friend, an one of my favorite writers, J.M. DeMatteis. First issue is due out September, 2018. This entry was posted in Blog on April 11, 2018 by mcavallaro. Here’s hoping for the best in the coming year for all of us! 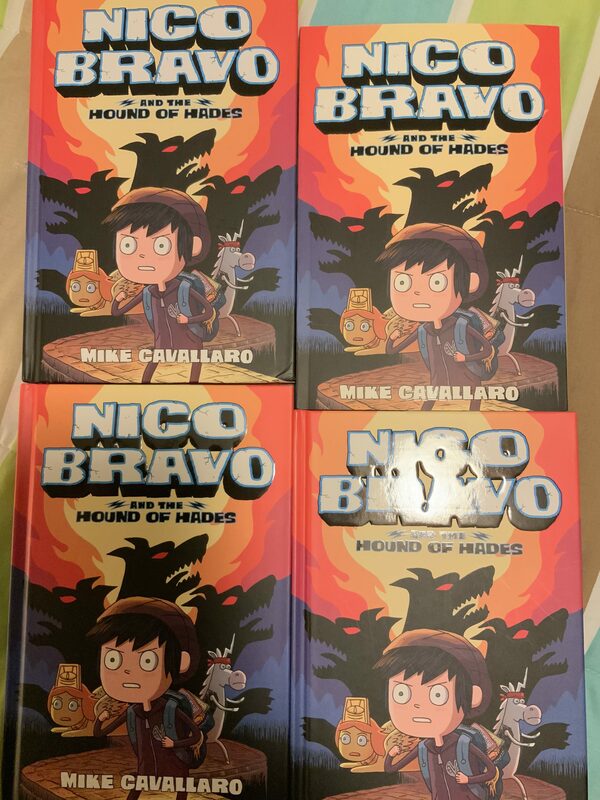 Sometime over the past few months the title of the book I’ve been working on was changed to “NICO BRAVO and the HOUND OF HADES.” I’m happy about that since it was the title I imagined all along. 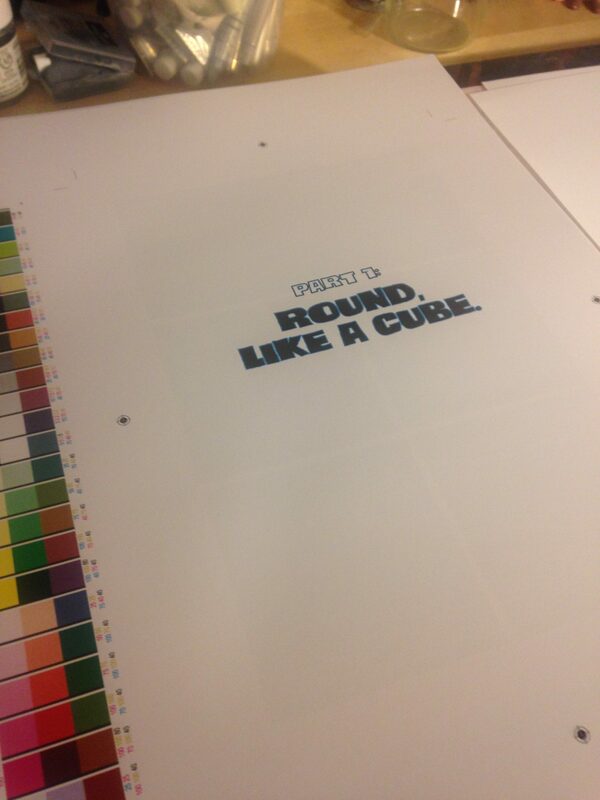 Even better, just before Christmas I finished work on it: all 186 pages plus a cover! I can’t show that yet but here’s the updated promotional artwork plus a rough cover design we ended up not using. Hopefully I can show more soon! 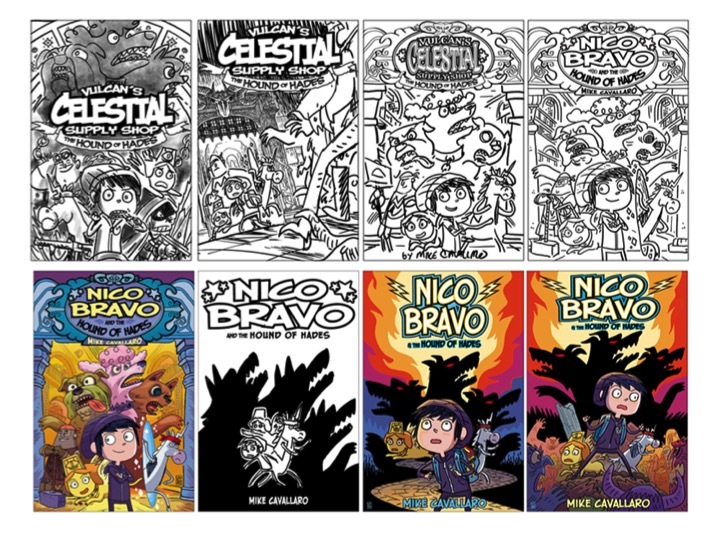 NICO BRAVO will be released from First Second Books in 2019. I’m writing a sequel because all I really want to do is more of this! Meanwhile, it’s back to work on the 5-issue IMPOSSIBLE INCORPORATED series with writer J.M. DeMatteis and IDW Publishing. Not posting any of that because the release date is still a long way off. 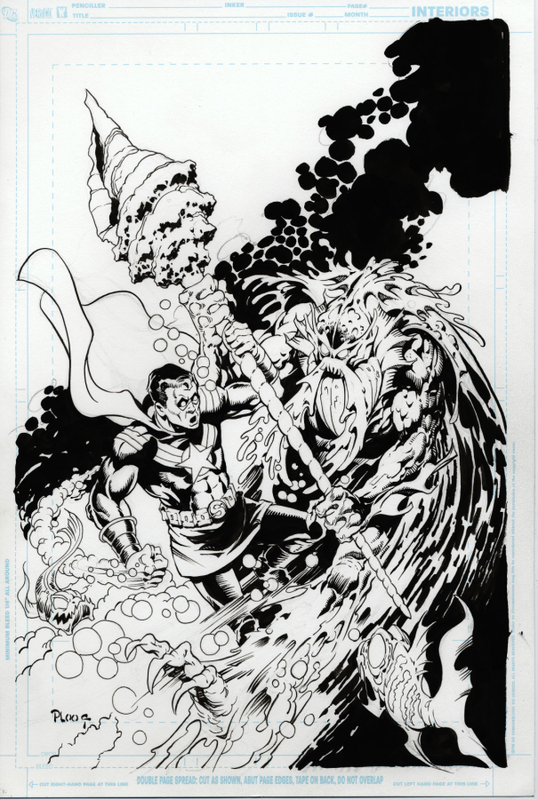 I’ve always loved J.M.’s work, whether his creator-owned stuff like MOONSHADOW, or his Big Two comics like JUSTICE LEAGUE INTERNATIONAL, or his tv/direct-to-DVD work like BATMAN: THE BRAVE & THE BOLD animated series. 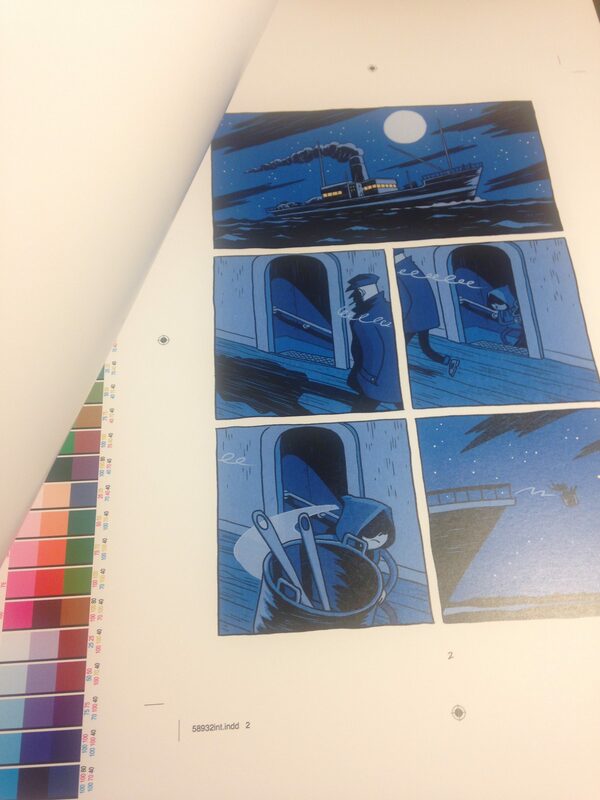 So far, I’ve gotten scripts for the first two issues of IMPOSSIBLE, and they’re fantastic, of course. Sometimes I can’t believe how lucky I am. 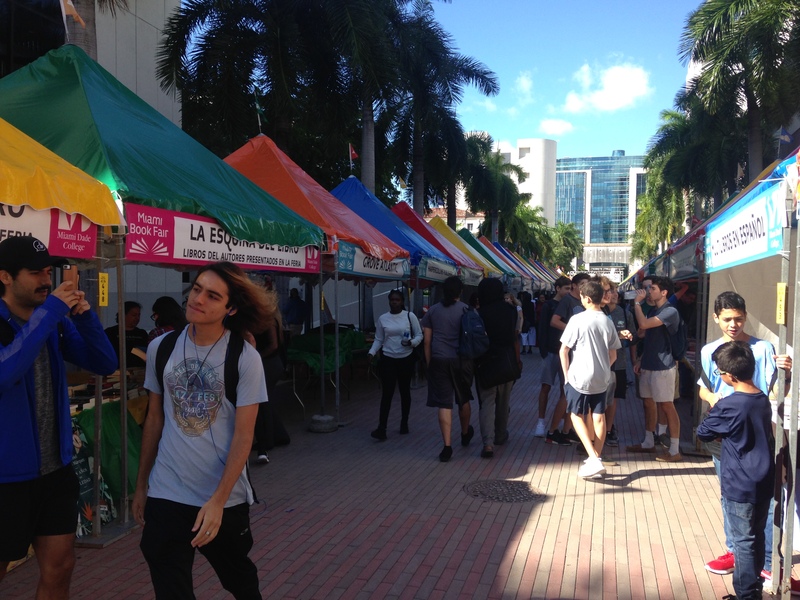 This past November I was invited to the Miami Book Fair. 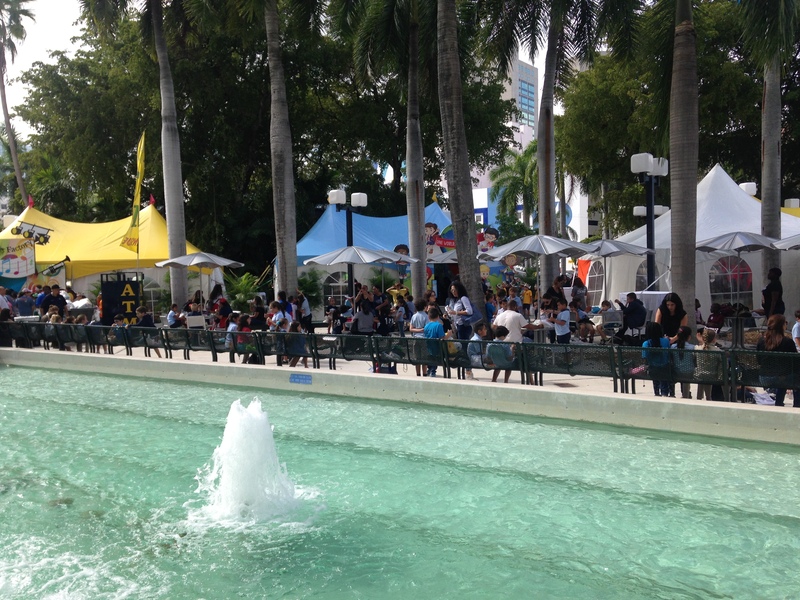 It’s a staggering celebration of all types of books that manages to sweep downtown Miami up into the festivities. I got down there early and spoke to students at a few local schools, and did a presentation at the Book Fair itself. It was great to catch up with friends like George O’Connor, Michel Fiffe, Kat Roberts, Bob Sikoryak, Michael Buckley, Ed Steckley and Joan Hilty. 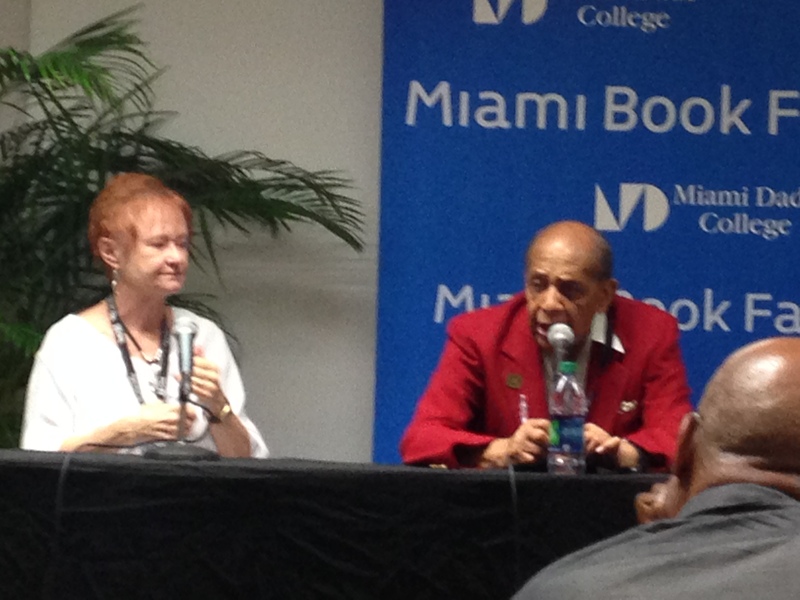 I took in a few panel discussions, including Mimi Pond and Trina Robbins, and another featuring Harold H. Brown, a former Tuskegee Airman! 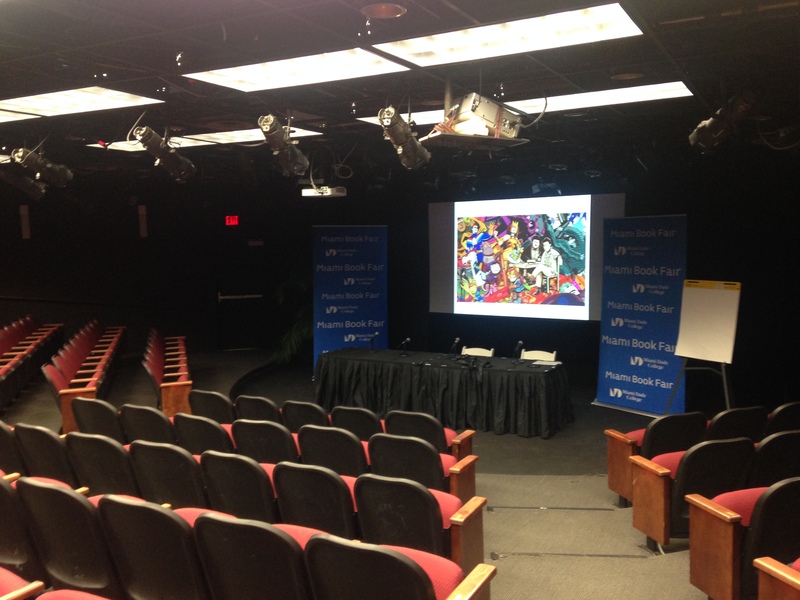 The auditorium at MBF just before my presentation. The crowds start to gather. 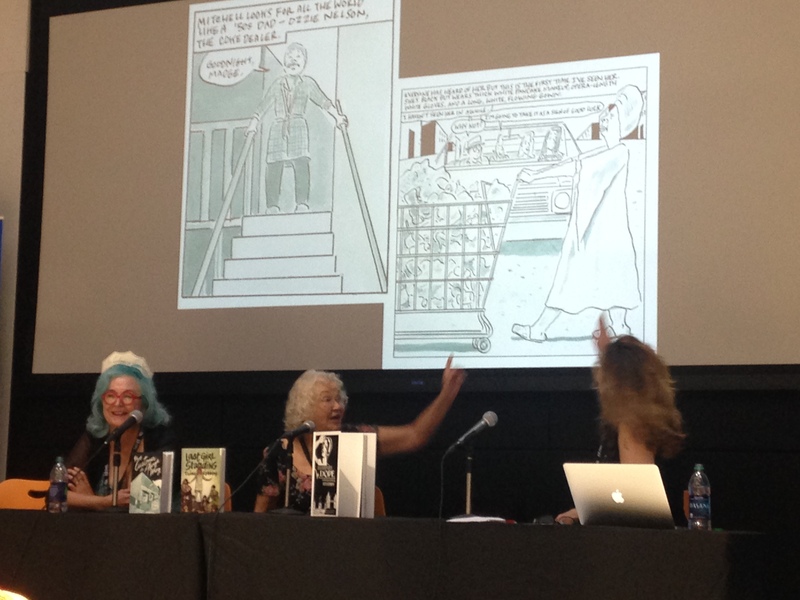 Mimi Pond, Trina Robbins, and moderator Joan Hilty. A shot from the fair. This entry was posted in Blog on January 3, 2018 by mcavallaro.